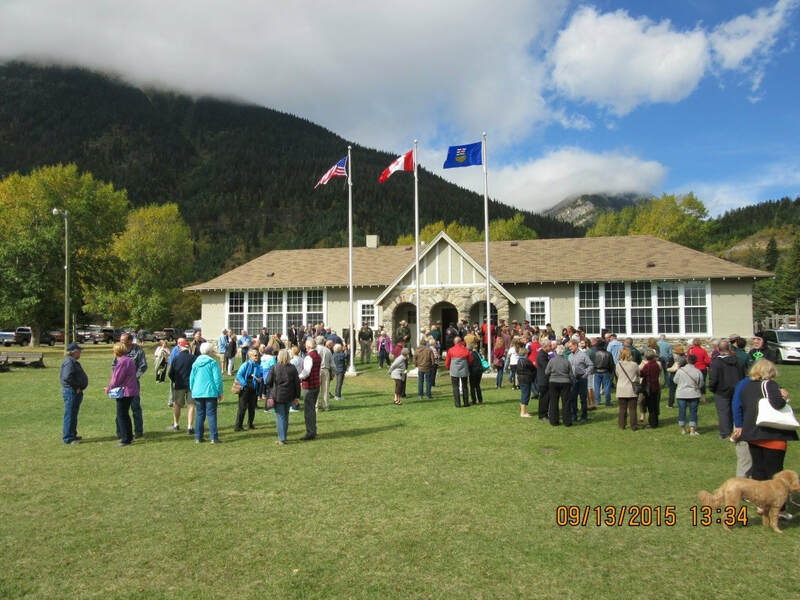 The 2019 Assembly will be held in Waterton, Alberta on September 13 through 15. The Organizing Committee for the Waterton-Glacier International Peace Park Association’s (WGIPPA) 87th Assembly is composed of members of Rotaract and the Rotary Clubs of Lethbridge. Tentative Schedule Friday, September 13 will include the annual golf tournament in the afternoon, as well as, the WGIPPA Board of Directors meeting. A community work project for attending Rotarians and their families is still in the planning stage. To date the venues have been retained for both the Assembly (Waterton Lakes Community Association Centre) and the YEX program (Camp Columbus). The YEX program will again be coordinated by the University of Lethbridge Rotaract Club. ​​All caterers have been retained; the majority of speakers have been confirmed; and we are well on our way to having a great 87th WGIPPA Assembly. Registration is expected to be available here early April. A block of rooms has been set aside at both the Waterton Lakes Lodge Resort and the Aspen Village Inn. Rooms within this block are of several different sorts, each with their own individual pricing. The WGIPPA has been given a group rate for these two hotels for the Assembly weekend of CDN$99.00 plus tax for available standard rooms. Rates will vary depending on the type of rooms available. All rooms are on a first come first serve basis. Any rooms still “holding” and not reserved by WGIPPA persons by the 2nd September 2019 will be released and returned to the public. Guests may still book a room and are entitled to the same special group discount after this date (from the 13th-15th Sep. 2019) subject to availability. You are responsible for making your own accommodation bookings! There is a block of rooms at the lodge on hold just for our guests. Reach out to Waterton Lakes Lodge Resort reservations team to reserve your room. Use the promo code WG19PA to get the rate. Reserve by September 2nd, 2019 for the best availability. The Aspen Village Inn is a seasonal run property it is currently closed until the middle of May. Guests are welcome to still make a reservation for the Aspen Village Inn at this time by contacting the Waterton Lakes Lodge Resort direct and telling the Agent the hotel they are looking to book with (e.g. Aspen Village Inn). The assisting Agent will be able to remotely log in into the Aspen Reservation system and confirm a booking from them. Because rooms are limited within these two “official” hotels, listed below is the contact information for other properties in Waterton National Park as possible additional accommodation providers. 111 Waterton Ave ,Waterton Park, AB - T0K 2M0, Canada. 107 Windflower Ave, Waterton Park, AB - T0K 2M0, Canada.